We're active IDPA members and want to contribue to the sport we're addicted to. 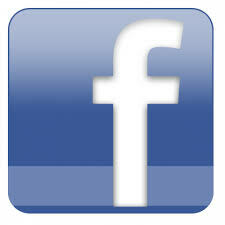 Please Like us on Facebook for tips, Q&A, feature announcements and more. Last Sunday we used your program Uberscoremaster in our IDPA competition ItalianNorthWest Cup A truly excellent program! Congratulations! We used uberscoremaster for the first time Saturday at our regular monthly match, and WE LOVED IT!! Thank you for all the effort you put into this to make a truly useful addition to our sport. I went into this project (evaluating your software) not expecting a whole lot (based on what I had seen from other “replacement” scoring programs) but I have to say, I think you’ve got a real winner here. I am going out on a limb here and saying that this is the one software that appears to be what a local IDPA match needs for their match scoring. We really need something that isn't the Swiss Army Knife of Scoring that tries to do everything from a local match to a sanctioned match. Sorry folks but sanctioned matches could go the way of the dodo and I wouldn't care. But I do care about the local matches and getting the results out to the shooters in a good and logical format that is easy to read and understandable. UberscoreMaster seems to have hit on the solution to that. It won't do sanctioned matches yet which includes how many shirts, trophies, Distinguished Masters, or all that other fluff but it will score a local match and do it easily and quickly. I recommend that you take a look at it. The graph results of the match are something that I think is great. Good morning! I was shooting a match with a friend of mine yesterday and he told me he read about your product on the IDPA forum. I checked it out last night and must say I am quite impressed . I do scoring for several clubs and anything to make it easier would be a huge help! I ran a past match through your software (see link provided) and I was thrilled. Thank you. I'm 70 yrs old and don't understand computer lingo very well. I used UberScoreMaster for our match last Sunday and I saved about 40% of time compared to the way I was using previously. Thanks for your program. I am the MD at a club in NEPA and have been searching for a scoring program since the old IDPA program disappeared when my computer crashed. I came across the UBERSCOREMASTER program mentioned here on this forum. This program is simple and very easy to use. Most of the work is done using the mouse instead of a keyboard. I have run several "test" matches through it and find it easier to use each time and much faster than anything I used before. Did I also mention, it is totally FREE. Best of all, when I wasn't exactly pleased with the format of the final scores, I asked Tim if it was possible to change it. He worked with me and in less than a week he added a new "Report" button with the format I requested. All I can say, if you are looking for a scoring program, free or not, don't make the mistake on not looking at what UBERSCORING has to offer. I just wanted to take a quick minute to again tell you how very much we like your scoring program. It is capable of handling every situation we encounter even when we screw it up. Thank you so much for your efforts on behalf of both IDPA clubs and IDPA shooters. We talk it up at every match at other clubs that we go to trying to get them interested as well. UberScoreMaster was used for a sanctioned match for the first time in the ItalianNorthWest Cup. Join our Facebook and Twitter accounts for more up to date news! I uploaded a quick demo of how you can use UberScoreMaster with a barcode scanner and barcode labels. Thanks to your suggestions we have been busy updating the software. Here are a few of the most recent changes. We just added the IDPA website score upload file format. Enter your scores with UberScoreMaster quickly and then upload them to the IDPA site easily. Go to Publish and Step 6 to download the scores. We made some changes to the Real-Time entry to better handle multiple strings. The Match Scores page now shows more clearly which scores have not been completed yet. The After-Match and Real-Time entry methods also now have better indications of which stages or shooters have not been entered yet. No Internet at your range? No Problem! One user reports that we work great with a mobile wireless hotspot device you can purchase at stores like Walmart. Today we launched www.IDPAMatchSignup.com! It's just the first step in our complete match signup features we're working on. When you create your future match on UberScoreMaster.com it automatically publishes your clubs local match on IDPAMatchSignup.com. It allows shooters to signup ahead of time and save you typing their info in later when you do the scores. It also helps you avoid frustration figuring out everyone's messy handwriting. We're using it at the match signup table with an iPad air. It works great with tablets! Due to a request we added barcode support. On the new Match Management page you will find a "Labels" button next to each shooter where you can print barcodes for that shooter. When you are on the Match Scores or Match Management page then you can just scan your label and the score entry or edit page for that shooter will pop up. They are now selling Bluetooth barcode scanners on eBay for less than $50 that work with iPads and any other Bluetooth enabled mobile devices. We hope you like our new look! Now that we have the score entry licked we're tidying things up a bit on the external site. Thank you again for your overwhelming support! We've had much urging to add a Match Management component to our program. Shooters that have used other software have given us a list of things they would like to see done and we're on the case. Stay tuned! Click Here to read "Why Smart Phones are Better than Tablets for Score Entry"
Now that we have the general scoring and mobile entry and mobile preliminary reports working well we added abilities to add subcategories (like Lady, Industry, etc.) to the shooter profiles. This will make it easy for shooters to monitor their progress during the match in their subcategories and a quick way for Match Directors to determine the "High" scores for each subcategory. We also had some great suggestions on some other calculations some shooters would like that we will be incorporating in a few weeks that make the shooting scores more like golf scores. Stay tuned! Keep those suggestions coming! We had a fantastic time shooting on Saturday and testing the real-time score entry. Some of the comments encouraged us to make some additional changes to the interface to make it easier to read and update even quicker. Check out this video for the latest. We had an iPad at the range signup table. Everyone entered their information into UberScoreMaster and then the new "Pick List/Squad Assignment" feature made it easy to set everyone up into squads and thereby making the score entry a snap. Everyone was emailed and texted right after the results where verified. We would like to thank those of you that have continued to provide feedback on our new software. We hope it saves you time and improves the accuracy of the scoring process. Our Real-Time Mobile Score Entry is complete and we are going into beta testing this weekend! Click Here to view a video. We had a great product launch yesterday at Collin County IDPA near Dallas, Texas. Club president Cody Ray, is supportive of our efforts. Club treasurer Dr. Allen Honeyman also gave us kudos and contributed his brain power on the score charting as well as product testing. A special thanks goes out to Webmaster James Morgan for his help in making sure the official results were in the exact format needed. The program makes sure the MD doesn't forget to email the webmaster first and the program makes sure the results are exactly the way they need to be. This cuts down on time spent exchanging emails and republishing results. All club members were able to download the results and those that wanted text alerts of their results received them. Email alerts also went out without a hitch. One Mac user had trouble opening the Excel spreadsheet but after a slight tweak was able to get it downloaded OK. The most gratifying part of the data entry process was the quality control score validation. It quickly caught ALL the data entry errors! Additional charting suggestions came in from Expert shooter Chris Jones, MBA. We have some exciting new charts on the horizon now to help you analyze your scores. Stay tuned! Please help us continue to enhance this great tool for our sport by contributing suggestions! Neither Gordon nor Yamil endorse this software but allowed me to use the pictures because they support free contributions to the sport. Thank you guys!